So I always make the same mistake. Every time I try and plant a veggie garden, I try and do it in our side bed. Well the problem with this is 3 fold. We have an invasive burdock colony, ivy, and thorny trees that regardless of our best efforts, continually return every year to cover our garden in an infestation of weeds and spiders. So this year, we decided to get ahead of the game. We tore up the side bed. I mean we got in there and tore up everything that wasn’t ivy. Then we took some of the bulbs from our huge iris in the front (which we recently discovered in a slightly rare breed called Iris Pallida and smells like grape soda), and replanted them, hoping that this plant (which gets positively massive within a year) will over take some of the other invasive weeds. Now, something I’ve been wanting to get into for some time is homesteading. I always thought that, ideally, you had to have a large amount of space in which to do this. Apparently, not so. You can do it in a relatively small space, even in a small yard. The key is using your space wisely, and starting small. 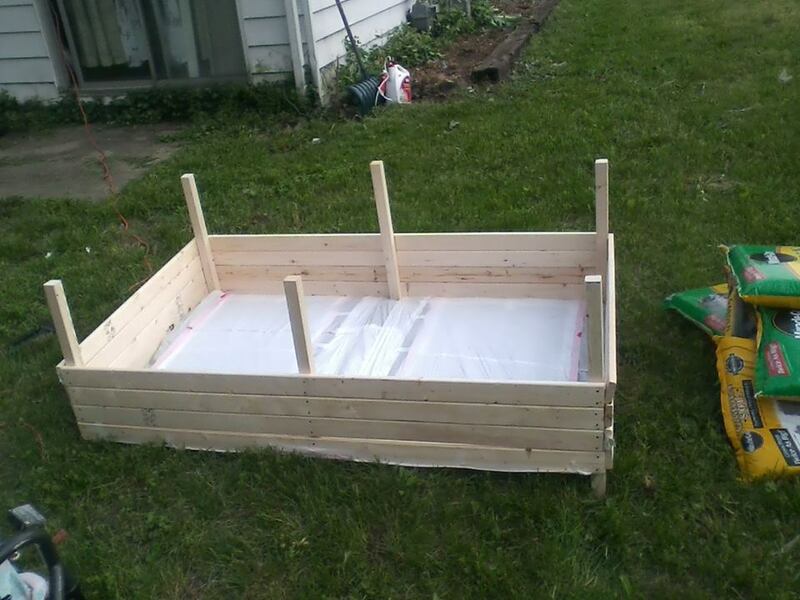 So I am taking the suggestions of many books on the subject and starting with one small, raised vegetable bed. 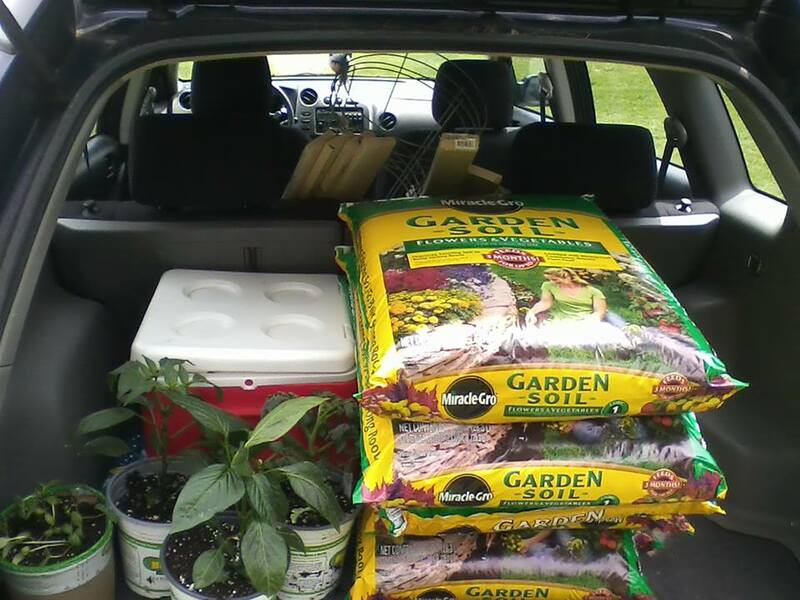 The cost of the supplies; wood, fertilizer, plants and such, ran me about $60. A little expensive for the first time, but over time I will figure out other ways to do it that aren’t quite so expensive. But this time I really wanted to make something with my own two hands. 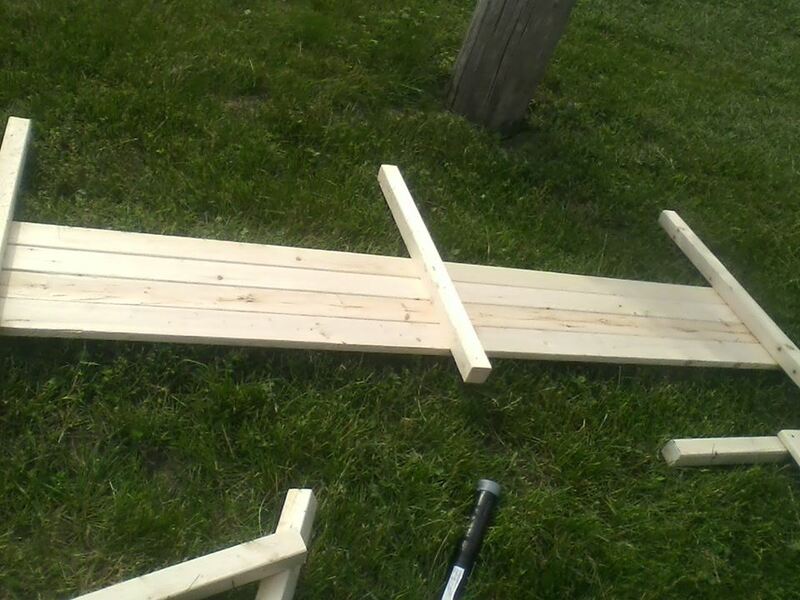 It took about 4 hours from start to finish, including how long it took me to get through Lowes. (That frickin wood cutting machine takes FOREVER to get someone to come out to.) Anywho, we decided to start this year with cucumbers, jalapenos, red bell peppers and of course tomatoes. 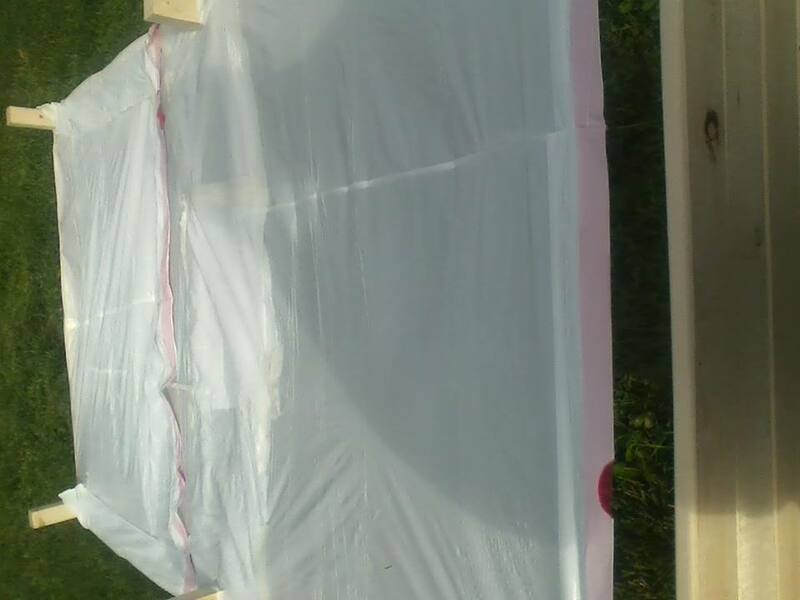 Next year we may start a little earlier and do some seeds, but since it took till nearly Memorial Day before we didn’t have frost in the mornings, we wanted to have small plants go into the ground. If you need some vegetables for tonight, come right on in and pick a few! They are completely free! Just pick a few weeds while you are at it. And then every year, as we add new beds, we will add numbers so that people know what they are picking.